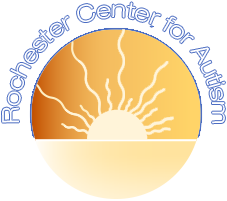 The Rochester Center for Autism wants to be with you every step of the way when it comes to supporting you, your child and your family. Along with Center and In-home therapy, RCA provides support outside of regular business hours. Monthly parent support groups along with sibling support groups are provided to offer guidance, aid and comfort. Parent support groups offer numerous speakers to present interesting topics of interest, as well as an open discussion forum. The Sibling Support Groups lets brothers and sisters of kids with autism have a night of fun, and a chance to talk with other kids who understand what it’s like to have a sibling with autism.